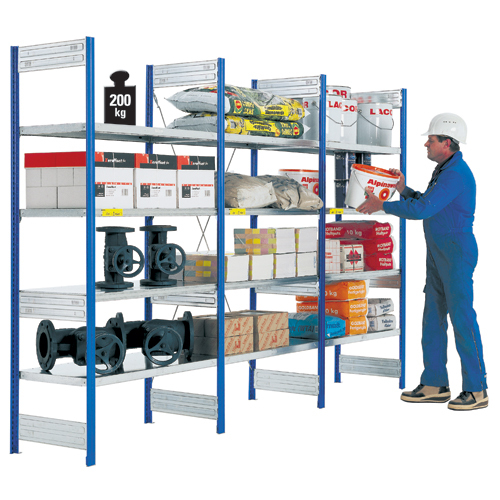 Requirements for storage and shelving are forever changing along with your business, so why not look to our Industrial modular shelving systems that can be tailored to suit your needs and can easily be expanded or changed as your requirements develop. 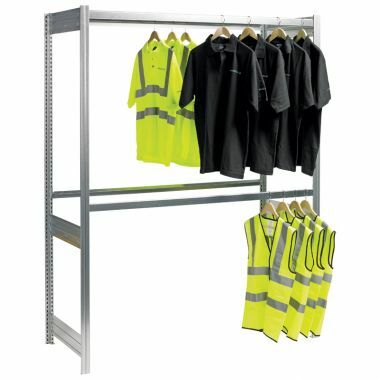 Built to last this range are well suited to industrial environments such as ware houses , storerooms and factories. Why buy Modular Shelving Systems. 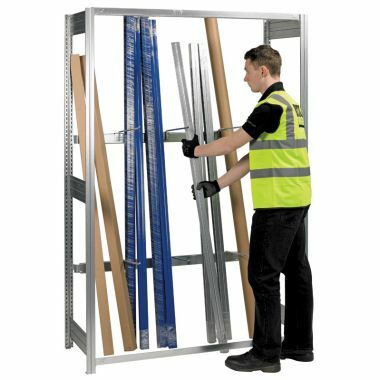 Modular shelving starter bays are quick and easy to assemble with extensions and accessories available for future flexibility. Wide span and vertical storage bays are perfect for industrial applications offering robust and versatile storage solutions for a number of applications. Which Modular Shelving Systems should you buy? 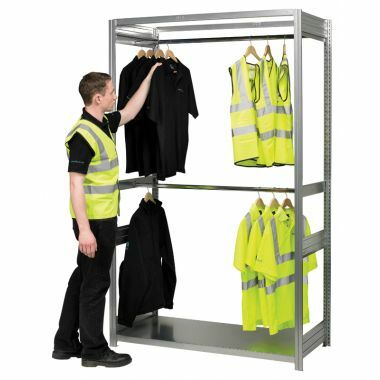 With a huge variety to choose from our modular shelving systems can efficiently help to increase your business’ productivity by creating effective storage and picking systems. Modular shelving is also available in heavy-duty versions, providing hardwearing and durable chipboard shelves with higher weight capacities. 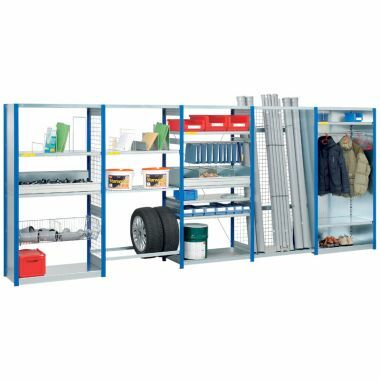 Complete your shelving with a host of accessories such as cladding to prevent stock falling through and steel dividers.